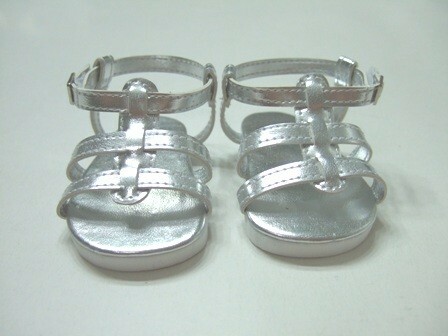 One pair of silver sandals. They have four straps and velcro closure. A must have for every wardrobe. Will fit 18" American Girl Dolls including similar 18" dolls.